Ralph “Ray” Ferriola of Garfield, NJ passed away on Tuesday, April 24, 2018 at the age of 91. Born and raised in Paterson, NJ, he resided in Clifton before moving to Fair Lawn in 1940. 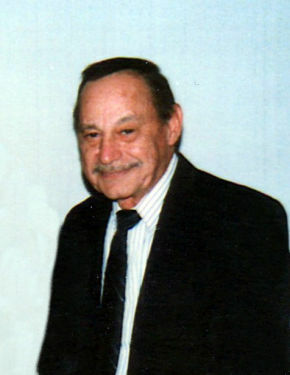 He graduated in 1945 from Fair Lawn High School, its first graduating class. After serving in the Army Air Force, he continued to live in Fair Lawn for 75 years prior to moving to Garfield. After the war, Ray played on Fair Lawn basketball and softball leagues during the 1950’s. Ray was employed by Custom Laminations of Paterson and after 27 years retired in 1992. Ray was predeceased by his beloved mother Margaret; father, Frank; brother, Vincent; sister, Ann and his life partner, Ruth “Terry” Denegri. Surviving are his two loving sons, Dean and wife Gail and Darin; and grandson, Anthony. The family will receive relatives and friends Friday, April 27, 2018, 4-8 pm at Vander Plaat-Caggiano Funeral Home, 13-31 Saddle River Road, Fair Lawn. Military honors Friday 7:30 pm. So terribly sorry for the loss of this truly beautiful man. He was one in a million. It makes me smile to remember him saying "If I don't see ya round, I'll see ya square." My heart and prayers go out to Dean, Gail, Darin and Anthony. Godspeed until we meet again!